The Australasian Fire and Emergency Services Council and Bushfire CRC conference was held in Perth last week, with fire and emergency management specialists from around the world attending. The annual event provides attendees with the opportunity to discuss and debate current bushfire related issues, and encourages that the latest bushfire related knowledge and ideas be shared. These bushfire predictions reflect the combined research of a number of scientists situated in different areas throughout Australia, as well as calculations formulated by the Bureau of Meterology, and a grass fuel analysis. On the other hand the report predicts that Tasmania, Victoria and the eastern region of South Australia can expect an average fire season in the coming months. BJD10 diesel fire pumps from PowerCare are guaranteed to provide piece of mind this bushfire season, particularly amongst those who reside in areas of southern Australia. Weighing in at 76kg, the fire pumps are reasonably lightweight and incredibly compact, so they can be stored in sheds or on the back of a truck. This ensures that in the event of a fire, the fire pumps are immediately on hand. Furthermore, the presence of an electric key start ensures the fire pumps can be switched on within seconds and begin operating almost immediately. 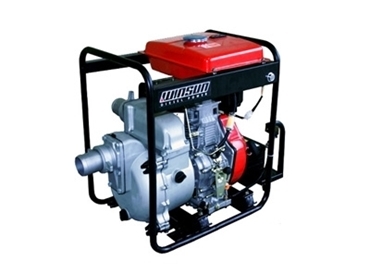 The fire pumps have an output of 13HP, and they have a maximum operating speed (RPM) of 3600. Thanks to high performing, WINSUN diesel powered engines and self-priming centrifugal pumps the fire pumps are capable of delivering 750L of water per minute, with a head of 60m. The fire pumps come equipped with a 20m hose, an important feature that ensures a safe distance is maintained between users and harmful flames. Defy these predictions and protect your property this summer by containing bushfires before they get out of control, with the help of BJD10 fire pumps.